All of us know what we are supposed to do in order to remain healthy and well, while doing high-stress, trauma-exposed work. But why is it that many strategies don’t seem to stick? Reviewing over 25 years of research on burnout, compassion fatigue and secondary trauma, this keynote will offer a concrete action plan to identify early warning signs, predictable pitfalls and offer strategies for all of those who work with at-risk and traumatized children. 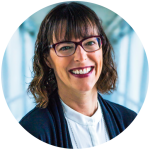 Françoise is co-executive director of TEND, whose aim is to offer consulting and training to professionals on topics related to secondary trauma, compassion fatigue, burnout, self-care, wellness and organizational health. Françoise is a Registered Psychotherapist and a subject matter expert on topics related to compassion fatigue and secondary trauma. Her experience stems from over 20+ years as a mental health professional, working as a crisis counsellor and trauma specialist in university counselling, military, law enforcement and other community mental health environments. Since 2001, Françoise has given hundreds of seminars on compassion fatigue and secondary trauma across North America to thousands of professionals in the fields of health care, mental health, law enforcement, the criminal justice system, military, human trafficking, child welfare and other similar high-stress, trauma-exposed professions. She has presented to members of St Jude Children’s Hospital in Memphis, the LAPD, Mount Sinai Hospital, The Chief Coroner’s Office of Ontario, and many other agencies who do high-stress, trauma-exposed work. Françoise is one of the founding members of the Secondary Traumatic Stress Consortium. Françoise is the author of “The Compassion Fatigue Workbook” which was published by Routledge in 2012, as well as several articles and publications. 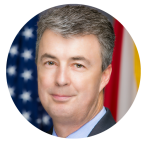 We are proud to announce Alabama Attorney General Steve Marshall will join us for opening remarks. Marshall became the 48th Attorney General of Alabama on February 10, 2017, and was elected to a full term on November 6, 2018. He is a native of Atmore, Alabama, and graduated with honors from the University of North Carolina at Chapel Hill (1987) and the University of Alabama School of Law (1990). After graduating from law school, he practiced with Maynard, Cooper, and Gale, P.C. He served Marshall County as District Attorney from 2001 to 2017. Before becoming Attorney General, Marshall served as District Attorney in Marshall County, where he established a reputation for being tough on crime. In his short time in office, Attorney General Marshall has established himself as a national leader on a variety of policy matters, including the opioid crisis. Marshall has served as a cochairman of the Alabama Opioid Overdose and Addiction Council, whose work has been lauded as a “best practice” for states. He has lent his expertise on the issue to addiction-prevention and recovery advocates and law-enforcement groups throughout the state and country.